We have been completely blown away by our backyard. The previous owner was an avid gardener and made our giant backyard into an oasis. We've been spending more and more time outside, finding out what perennials are starting to bloom. So far we know that we have a million day lilies, lily of the valley, blue bells, tulips, daffodils and hostas. We also have an apple tree, a cherry tree, four redbuds, two lilacs, and four unidentified flowering trees. It feels like a private park. Austin has become awesome at taking care of the lawn and landscaping and I've been plotting out a future deck and patio and the furniture that would work. With Mother's Day this weekend, it feels like the real start of summer. Mother's Day was always the day we started working in the garden growing up. My mom would take us to get new flowers for the garden beds and we'd spend the day planting, weeding and enjoying time outside. Having a yard of my own feels really sentimental. We are looking forward to hosting my mom, stepdad and grandpa for dinner on Mother's Day and sharing our flowering yard with them. The only thing that would make these early summer celebrations even better would be outdoor furniture. We received a free (non outdoor) table from a swap and sell page that we've used a few times with friends outside and keep in the shed but our dining room chairs have been sinking into the ground when we bring them out. 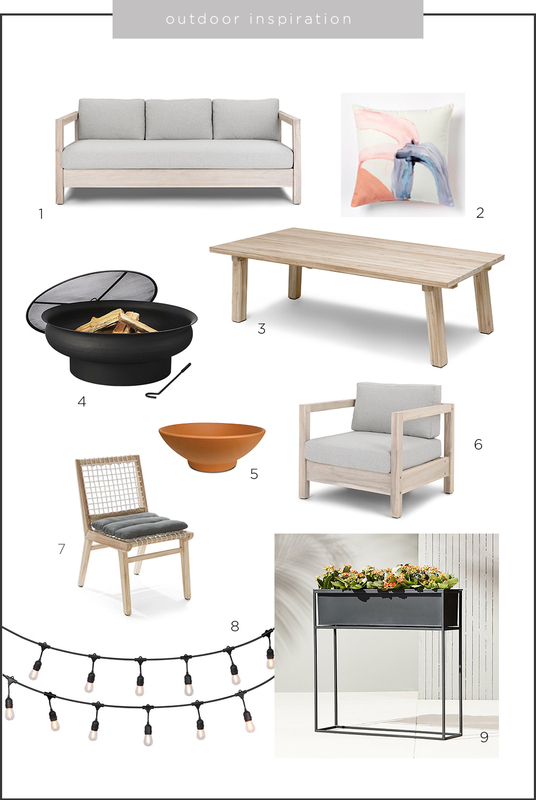 It has me looking for the perfect outdoor set up (even before we have the deck). So here's to the start of summer. And to mothers everywhere. And to outdoor living. There are so many things to celebrate. P.S. Article is having a sale until midnight on Mother's Day with mark downs up to 50% off. They're also having a giveaway if you like free things. This post was not sponsored, I just like sharing deals I find for brands I stand behind.